Underwritten By AIG Malaysia Insurance Berhad. Marketed & Provided By ACPG Travel Insurance Division. Special Travel Insurance Plan, an Exclusive Travel Accidental Coverage for LS members. Our partnership with Lonpac Insurance Bhd has made this coverage up to RM 500,000 Medical Expenses Coverage. Special Travel Personal Accident Insurance Plan From Premium RM 18.00 and Based on Listing Rate and Add on RM 10 Stamp Duty. 1) 24 Hours Worldwide Coverage For Individual and Family Package. 2) Based on Listing of Rate and add on RM 10 Stamp Duty. 3) All Insurance Premium Paid are Entitled Rewards LS Points from 10% of Premium Paid. 4) Acceptance Payment For Cash, Cheque & Credit Card. 5) Please fill up Proposal Form and Fill up Credit Card Detail. For More Infomation, Please Contact ACPG Care Line 603-92863323. 7) Any Enquiry or attachment Proposal Form to service@acpgconsultant.com. Fax No : 603-9282 3232. Even the best-planned holiday can be you need?affected by the unexpected. Why expose yourself when travel insurance can give you the cover. Buy Online & Save Today! Unwind with a peace of mind! Whether you are on a week-long business trip or a long-weekend holiday, all it takes is one second for an unexpected event to ruin your trip. If things go wrong while you’re traveling, travel insurance will take care of you. 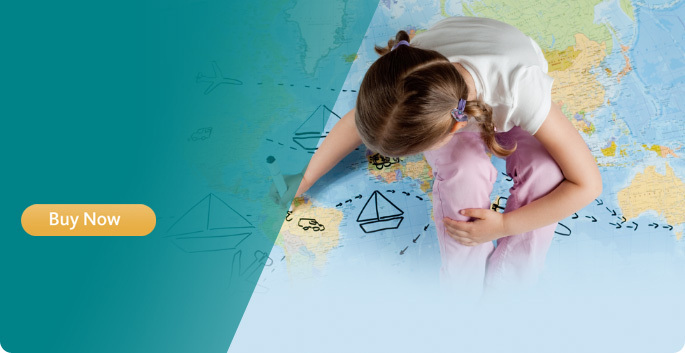 Please refer to our FAQs Page to learn more about Travel Insurance by ACPG AIG Travel Insurance Package. Reason To Purchase ACPG AIG Travel Insurance Package. You can never foretell when your dream travel trip becomes a bit of a nightmare. Travel the world in complete freedom; travel insurance by ACPG AIG Travel Insurance Package gives you that comprehensive protection. There are hundreds of circumstances that could cause you to cancel your trip, return home early or seek emergency medical treatment while traveling. Its your first visit to Europe, and your passport and wallet are stolen. Who do you turn to for emergency cash, and how do you get your passport replaced? You arrive in Thailand and your luggage doesn't. If it's lost, who will help you find it? If it's delayed, who will pay for your necessities? If it's stolen, who will pay to replace it? You're walking down a street in Ho Chi Min City and twist your ankle. Who can help you find an English-speaking physician? Three weeks before your scheduled arrival, a terrorist incident occurs in a city you are planning to visit. Who will pay if you want to cancel your trip? You are at a beach resort, and you are forced to evacuate due to an approaching hurricane. Who will help you evacuate and who will reimburse your lost vacation investment? In the event of loss, written notice of claim should be given to us within 30 days from the date of the incident, by completing and submitting the ACPG AIG Travel Claims Notification Form, together with all the required supporting documents. (f) Police report (lodged within 24 hours) on loss related incident. For further enquiries related to claims, please call our ACPG Careline at +603-9286 3323 or email enquiry@acpgconsultant.com. For more information, please visit our Travel Insurance page at www.acpgconsultant.com. Please Download ACPG Company Profile here!! 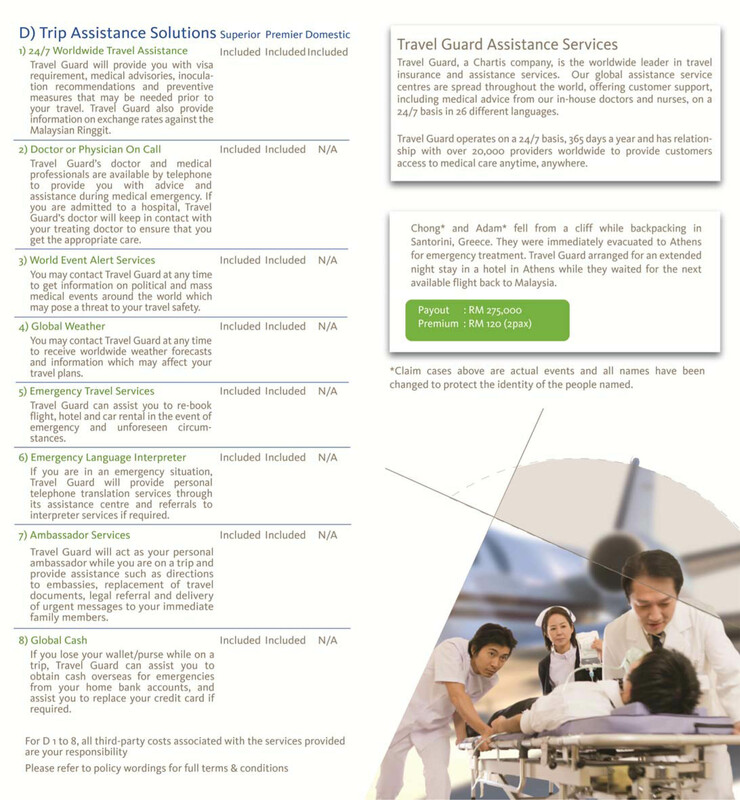 Travel Insurance is a comprehensive insurance plan for domestic and overseas travel. The major benefits provided are medical related benefits, personal accidents benefits, travel inconvenience & other travel-related benefits and 24-hours worldwide travel assistance. Additionally, you can choose to purchase our optional rider benefit which extends your coverage to include your golfing equipments and your participation in special sports such as winter sports activities & scuba diving. What is the age limit to purchase Travel Insurance? (a) Per Trip plan – minimum 31 days, up to a maximum of 65 years. 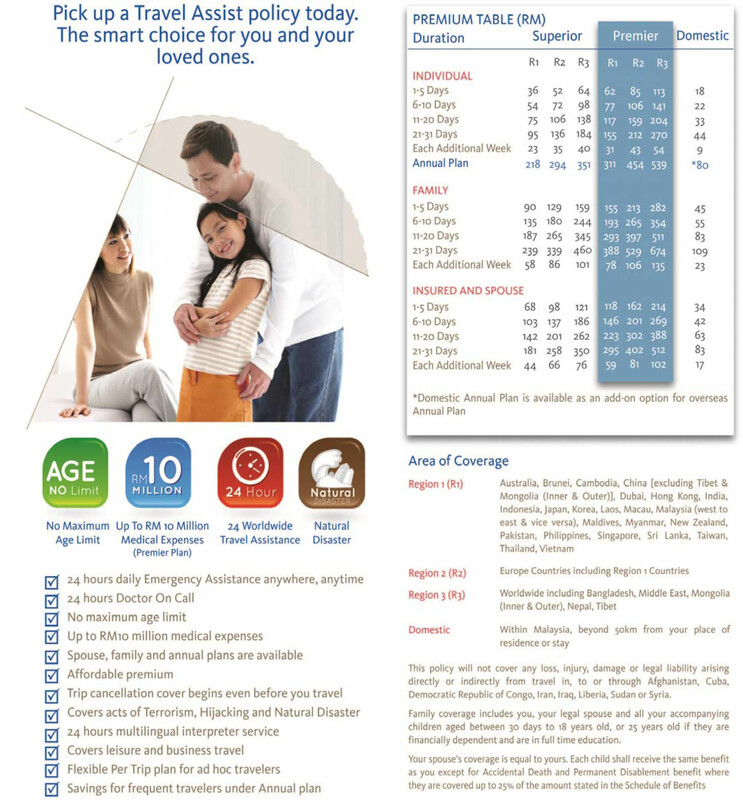 (b) Annual plan – entry age is between 18 to 60 years, and is renewable up to 65 years. An individual who travels domestically within Malaysia or overseas for the purpose of leisure and/or business. However, we do not cover for any travels made in, to or through Afghanistan, Cuba, Democratic Republic or Congo, Iran, Iraq, Liberia, Sudan or Syria. What is the maximum period of coverage? (a) Per trip plan – 180 consecutive days for an overseas trip, 60 consecutive days for a domestic trip. (b) Annual plan – 100 consecutive days for an overseas trip, 60 consecutive days for a domestic trip. When does my coverage for the overseas trip begin? Per Trip plan – 24 hours from the purchase of the policy, unless due to an accident in which cover commences from the policy purchase date. Annual plan – 24 hours from the purchase of the policy or after travel is booked whichever occurs later, unless due to an accident in which cover commences from the travel booking date. Cancellation of a scheduled trip due to death, permanent total disablement or hospitalization must occur within 60 days prior to your original scheduled departure and for other covered events, it must occur within 14 days prior to your original scheduled time of departure. Within 12 hours prior to departure from Malaysia. I am holding a one-way ticket. Can I purchase Travel Insurance? Yes. For one-way travel, coverage terminates 5 days upon your departure from Malaysia. What should I do if the airline lost my baggage? Lodge a report and seek compensation from the airline. You may file in your claim for the loss not compensated by the airline. Can I buy more than one Travel Insurance policy for the same trip? If you are covered by more than one policy, we will cover you based on the policy which provides the highest benefit level. Are activities such as winter sports & scuba diving covered? Winter sports & scuba diving activities will be covered if the Special Sports Optional rider is purchased and as long as it does not involve engaging, practicing or participating in a semi-professional or in a professional capacity or where income or remuneration can be earned from in such sports. 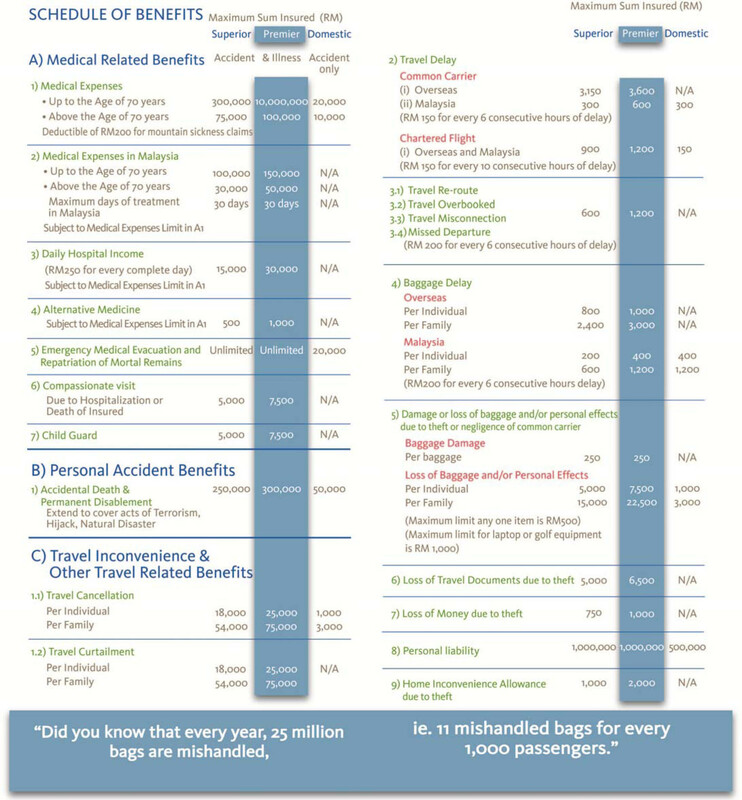 Is the benefit payable by per incident or per trip? Sum insured listed in the schedule of benefit is payable based on per incident. Who do I contact for an emergency assistance or if I need to be admitted to a hospital while overseas? Please call AIG Travel Guard at 603 2772 5600. You may reverse charge the call where this service is available. Please contact Travel Guard prior to seeking care. If you are unable to do so during an emergency, seek treatment first, and contact AIG Travel Guard as soon as possible. What is the definition of Immediate Family Members? It refers to the legal spouse, child, parent and their siblings, parent-in-law, grandparent, grandparent-in-law, grandchild, sibling, sibling-in-law, niece or nephew of the insured. I am travelling to multiple countries, do I need to buy a separate plan for each country? Which region should I select? No refund of premium is allowed once the policy has been issued. Please submit a duly completed travel claim form within 30 days from the date of loss, together with all supporting documents to AIG Malaysia Insurance at Wisma AIG, No. 99, Jalan Ampang, 50450 Kuala Lumpur. 30 working days upon receiving complete documentation and provided that there is no further information or investigation required. What should I do if the airlines loses my baggage/s? Lodge a report and seek compensation from the airline authority. You may file in your claim for losses not compensated by the airlines. Will I be covered for an illness that I am already suffering from or have suffered in the past? No. We do not cover any pre-existing condition occurring within 1 year prior to the policy effective date. Can I continue my medical treatment in Malaysia for injuries sustained overseas? Yes. If you suffer from a disability while travelling on an overseas trip and subsequently seek follow-up treatment in Malaysia, we will reimburse the medically necessary expenses incurred within 30 days upon arrival to Malaysia, subject to the medical expenses limit specified in the schedule of benefit. If I fall down overseas but do not seek treatment overseas, can I claim for medical expenses if I seek treatment after returning to Malaysia? Yes, only if the treatment is sought within 24 hours from the date of arrival in Malaysia. We will reimburse the medically necessary expenses incurred within 30 days upon arrival to Malaysia, subject to the medical expenses limit specified in the schedule of benefit. Are dental expenses or pregnancy-related matters covered? No, dental expenses and pregnancy-related matters are not covered, unless they are direct consequences of an accident. I need to cut-short my trip because my father is hospitalized in Malaysia. What am I covered for? We will reimburse the reasonable and necessary additional cost of travel and accommodation up to RM 1,000 and the unused and non-refundable expenses which is paid in advance and not recoverable from any relevant parties. Can I file a claim if my baggage is stolen where it is left outside on a bench while I am checking in? No, we do not cover for loss of baggage left unattended in any public place, as the policy excludes any failure of the insured to take reasonable efforts to safeguard his/her property. Can I claim for travel cancellation if I cancel my trip because of political unrest at my planned destination? (c) following the advise and/or warning of the Malaysian government or the government of the destination country declaring unsafe conditions for travel through or by general mass media. However, this policy excludes strikes or events due to an act of war, assertion of sovereignty, insurrection, revolution and use of military power. What should I do if I lose money whilst aboard? You must make a report to the local police within 24 hours after the incident. Please submit a police report (in English translation) in the event of a claim, together with the proof of travel and completed claims form. Will I be covered if my belongings are pick-pocketed while traveling overseas? Yes. You must make a report to the local police within 24 hours after the incident. Please submit a police report (in English translation) in the event of a claim, together with original purchase receipts and a completed claims form. Does Travel Insurance cover for natural disasters? Yes. Natural disasters including but not limited to volcanic eruption, flood, earthquake, tsunami, hurricane or wildfire are covered events under our policy. If I transit in the Middle East (region 3) during my trip to Europe (region 2) but I am not stopping over in the Middle East, what region should I buy? (a) If you transit in the Middle East with no stop over, you may purchase a Region 2 plan. (b) If you transit in the Middle East with a maximum stop over of 1 night because there is no connecting flight, you may also purchase a Region 2 plan. Can a child purchase an individual policy and what is the premium and benefits? A child (aged between 31 days and above and up to 18 years) can purchase an individual policy but the policy must be issued under a parent or legal guardian’s name, i.e. on the life of (OTLO) the child’s name. "Jack Tan OTLO Tan Mei Mei”. The payable premium for a child is the same as for an adult. Under the Family plan, a child is entitled to 25% of the Accidental Death and Permanent Disablement benefit and all other benefits are payable at 100%. Can I purchase travel insurance after I depart and still be covered? No. You must purchase the policy prior to your scheduled departure. Can I extend my policy period after the commencement of my trip? Coverage shall be extended at our sole discretion for up to 30 days from the expiry of the period of insurance without payment of any additional premium if you are hospitalized and/or quarantined overseas as recommended by a doctor or as a result of any circumstances beyond your control which is deemed reasonable by us prohibiting your return to Malaysia prior to the insurance expiry. When does the Home Away Protection cover starts? For domestic trips, coverage starts as soon as you depart from your place of residence or work. For overseas trips, coverage starts as soon as you depart from Malaysia. Coverage is valid if the travel period is a minimum of 2 days and terminates upon your return or upon completion of 31 consecutive days of travel, whichever is earlier. Does Golf Insurance Rider cover extend worldwide? Notify AIG Malaysia Insurance personnel/ACPG immediately after the incident. For prompt claim processing, please ensure that following general documents are submitted. immediately forwarded to AIG Malaysia Insurance Berhad. prior written consent by AIG Malaysia Insurance Berhad. We (ACPG), provided all classes of insurance services more than 23 years in Malaysia (since year 1989). We (ACPG) One of The Largest General Insurance (Individual & Commercial) Service Provider in Malaysia. Any enquiry, email to enquiry@acpgconsultant.com or Call our Careline : +603-9286 3323.